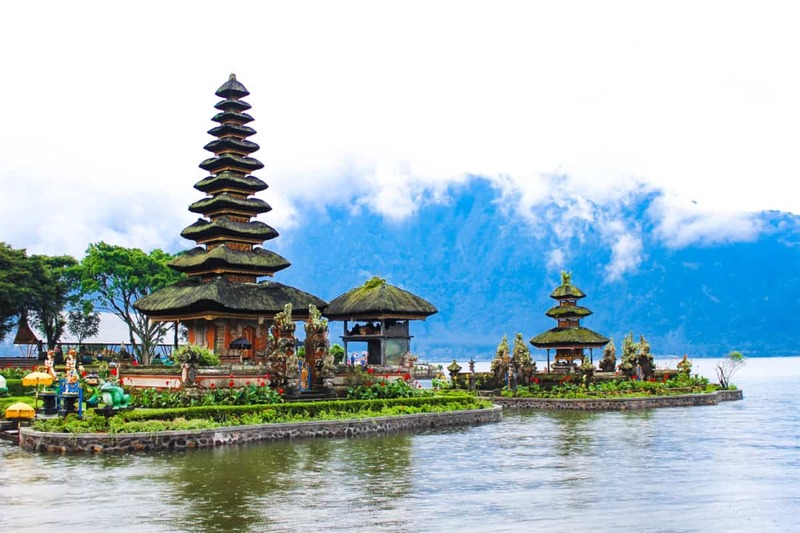 Bali is a very popular island and continues to grow in popularity. Luckily mass tourism is confined to the Southern part of the island. The rest of the country is unspoilt, unchanged and just wonderful! If you are like me and hate touristy areas, this blog is for you. My recommendation is to hire a car and drive yourself around. If you are anxious about driving (you really do not need to be!) then you can hire a car and driver. My hire car cost $25 a day fully insured, if you want a driver add an extra $10 a day to the price. If you are not exploring the island you can get a taxi, Uber or Car and driver to go from A to B relatively cheaply. Bali rental cars are really well organised and will deliver a rental car to wherever you are staying. This is a very good idea, especially if you have arrived from Europe after a 16 hour flight! I stayed for the first night in Sanur. The resort sent their car to meet me and whisked me quickly away to relax overnight. This is a really good idea. You don’t want to arrive tired and then have the stress of hiring a car and navigating around an unknown area. You will love Kuta! That is….. if you love mass tourism, beer swigging, over weight tattooed package tourists, loud music, bars, clubs and…. you get the idea. De rigueur…. swimwear two sizes too small. But many people love it and so check out the many articles elsewhere dedicated to this hotspot. Denpasar is the main city on the island, try and avoid it if you can. Polluted, clogged with traffic and not very attractive. 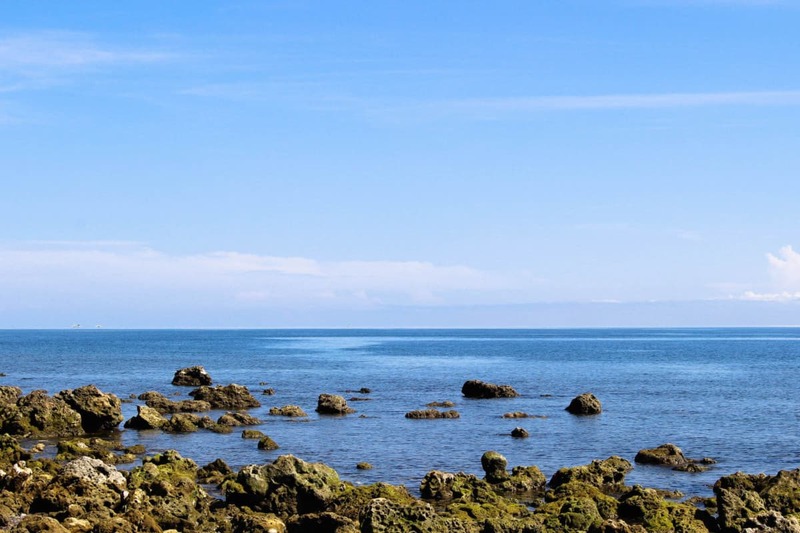 This is the first beach area in Bali to be developed for tourism. 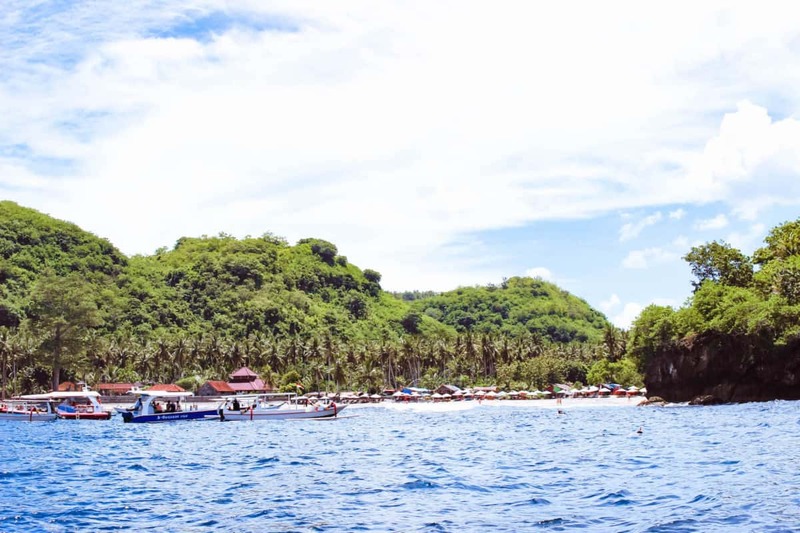 It has glorious sandy beaches, a quieter and laid back vibe and is popular with families, it is still a busy area with lots of restaurants and shops. I wanted to explore the nearby islands Nusa Lembongan and Nusa Penida. Sanur was the perfect place to stay because the fast Ferries leave from Sanur Beach in the morning. “Nusa Lembongan island is like Bali was 20 years ago”. I heard this a lot and it is probably true! 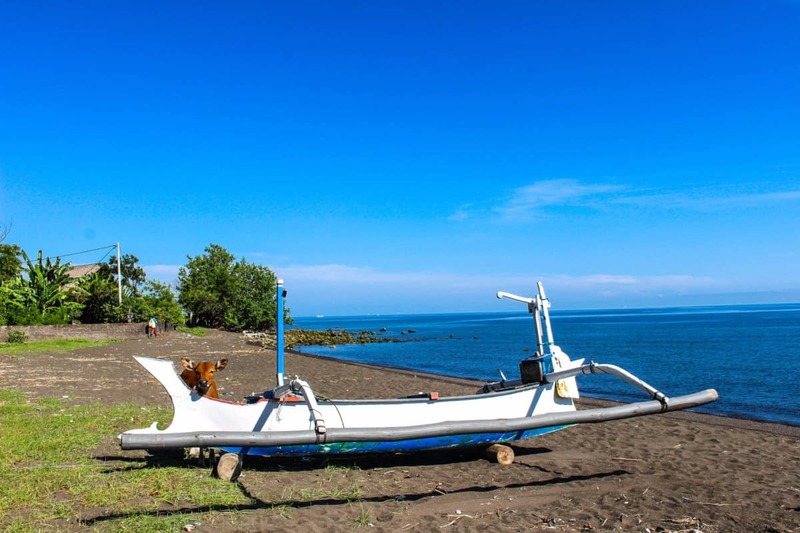 Take a day trip from Sanur, only 25 minutes away by boat and very reasonable price or do as I did and stay a few days on the island! 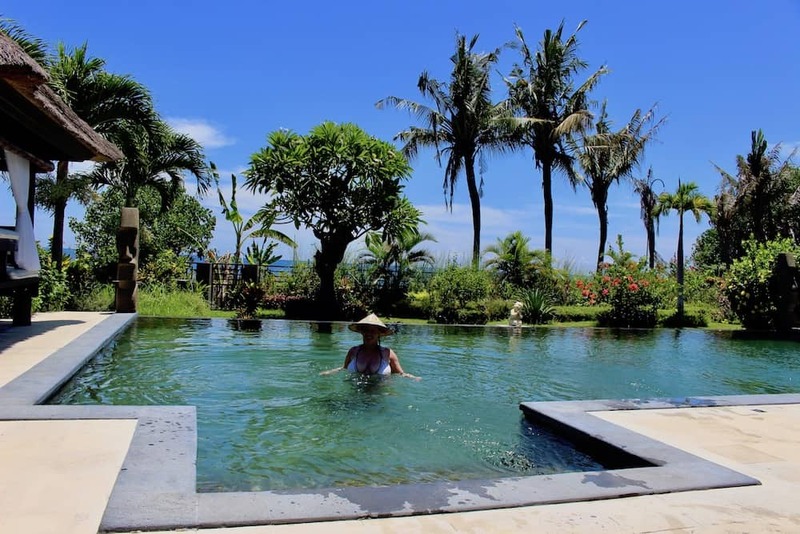 Villa Rental: I wholeheartedly recommend a villa rental anywhere on Bali. Checkout Airbnb or follow the Booking.com link on the right of this page. Rent an exquisite, modern Pool villa with a full staff of 5 including Chef for less than £90 a night. Yes, that is correct, an entire villa set in beautiful gardens and a full staff just for you! The islands are very beautiful and unspoilt, definitely worth a trip to hike, explore, Snorkel and Dive. Nusa Lembongan island is popular with Divers and Snorkellers. I stayed on the island over the Bali New Year period from 4 to 8 March. The island was very quiet because many people leave before Nyepi. 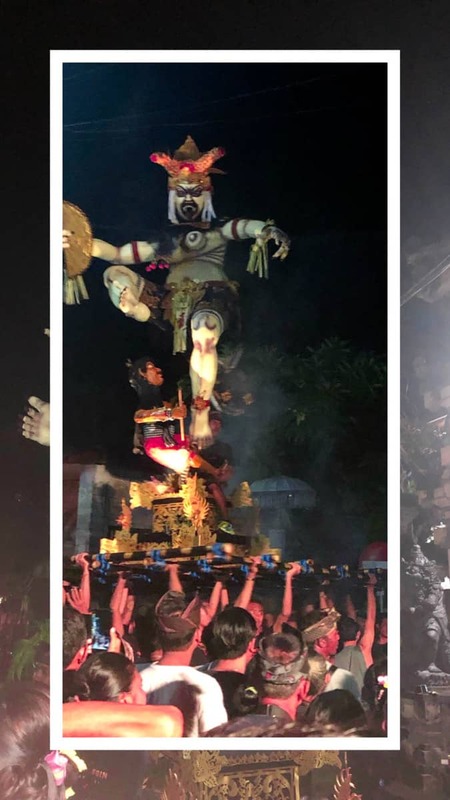 Do you know about Nyepi? It is the day when everyone stays home, you cannot leave your hotel or villa, there are no cars on the roads and even the airport closes! 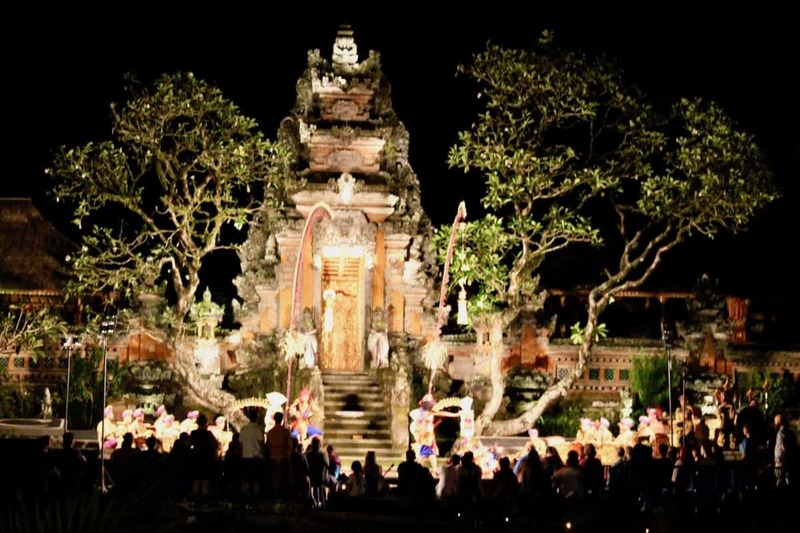 Diva Tip: Remember that bali closes down on 7 March every year for Nyepi. I did enjoy snorkelling here and there is a fabulous array of fish, 140 species, Turtles and Mantas. 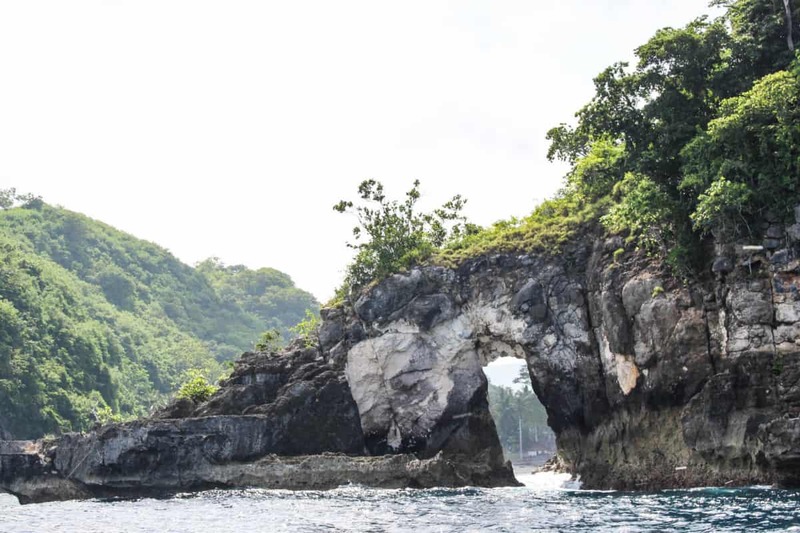 However, there are too many boats out with divers and snorkelers. This was a quiet time of year, it must be horrendous in high season! Everyone is super friendly everywhere you go on Bali and the islands. My lovely villa staff took care of me so well and even took me on their Motorbike to the OgahOgah celebrations! There are no cars to hire on the islands, get around by taxi or hire a Scooter. This island is very close by Nusa Lembongan. Take a ferry the short ride of about 15 minutes, land on the island and hire a taxi to take you around or hire a scooter. Again, there are some gorgeous Villas or treehouses to rent for a night or two! Alternatively, hire a local boat to take you to the island from Nusa Lembongan, explore from the sea and snorkel too. A good idea because the roads are terrible. 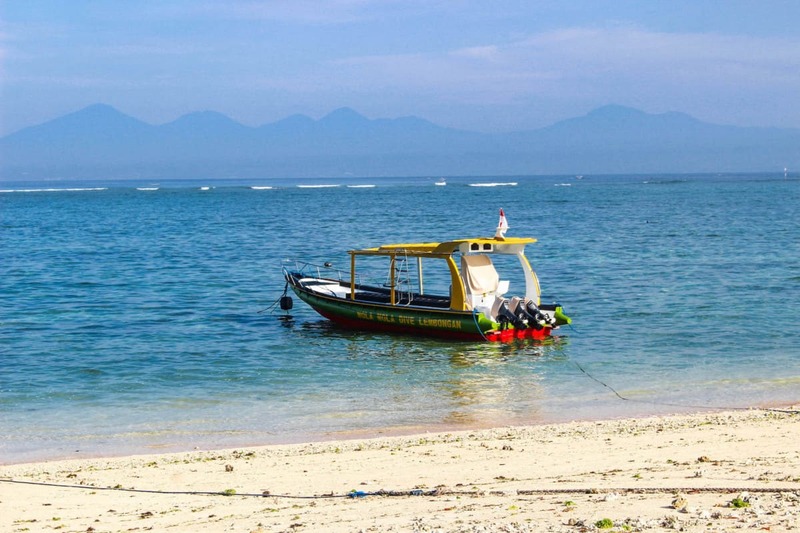 Rockyboats collected me from the villa and I retraced my steps via boat to Sanur. A car and driver collected me and drove me to Ubud for my next villa stay with a friend. I remember Ubud from my last trip 20 years ago. What can I say? It has grown enormously, is crowded, clogged with traffic and I was very disappointed! The small village I remember has gone forever. 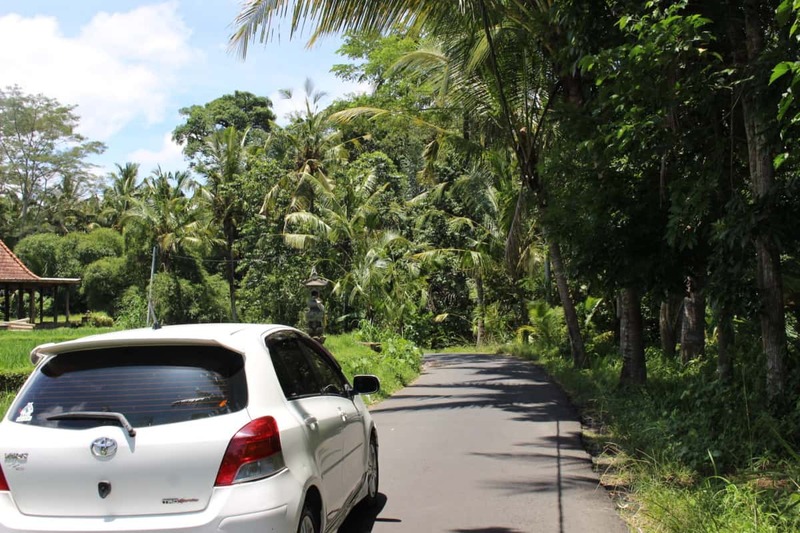 We arranged for a Car rental to be delivered to our villa in Ubud and explored the area. You do not need to drive very far North and you will leave the tourists behind. 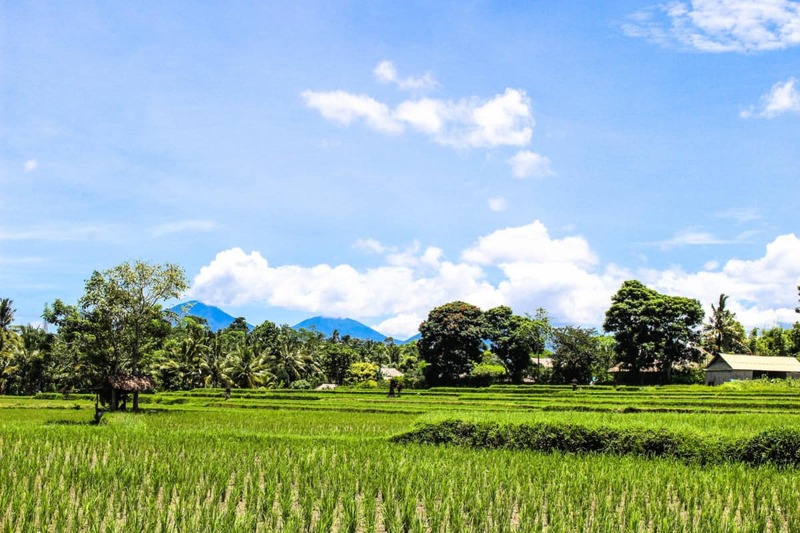 Pretty rice fields, traditional villages and unvisited Temples are everywhere. We spent a wonderful day exploring the area near Ubud. No-one else around, perfect! Stop by some little shops as you explore. Bali is a paradise from growing fruit and vegetables. Did you know they have Vineyards too? There are just too many people in too small a space in Ubud the town. 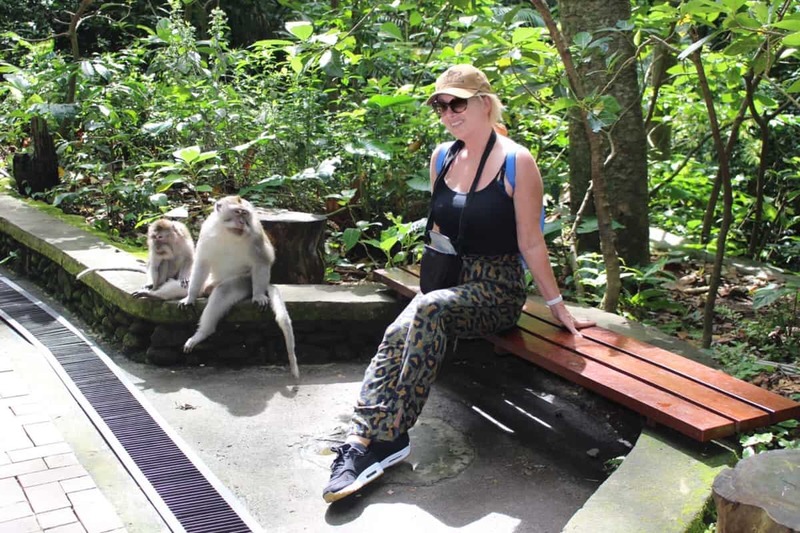 We visited Sacred Monkey Forest Sanctuary. 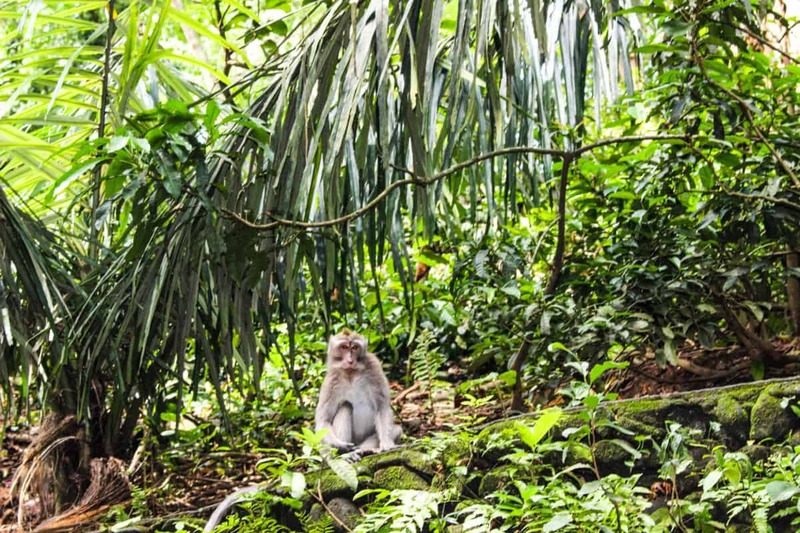 Home to some perfectly charming monkeys, probably outnumbered by the many human visitors. I really wouldn’t bother unless you are desperate to see the Monkeys. Go very early when it first opens. 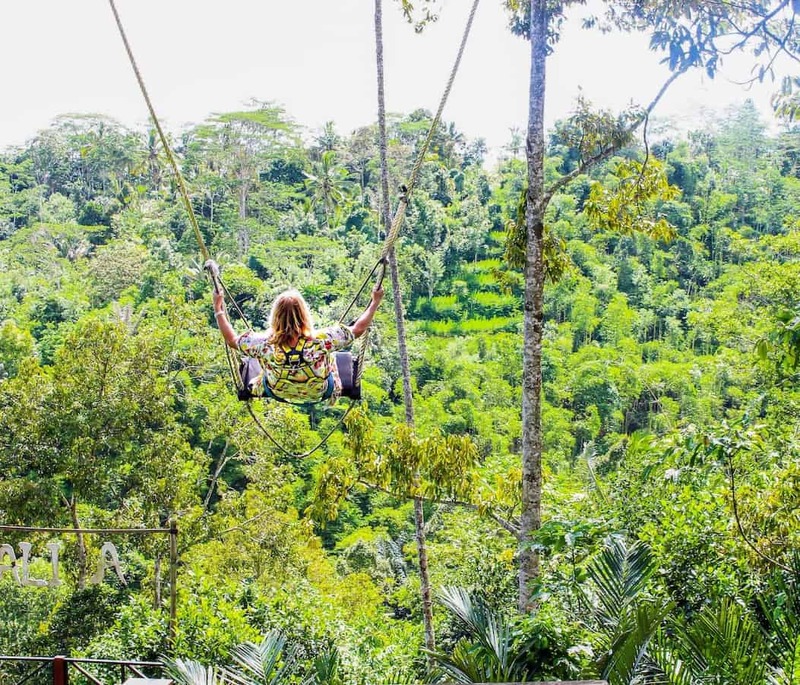 Explore nearby Ubud with a car and you will find some nice little retaurants, villages and, of course a Bali Swing! To be honest, I have no idea where this swing is located! We just happened to pass by and saw the sign. It was a few kilometres from Ubud and my photo says Petulu. There are, however, scores of swings in Bali so I am sure you will find one. Great fun and cost about £10. There was no-one else around and we had the place to ourselves. We fled early from Ubud! It really was not for me, I really didn’t like the overpriced ’boutique hotels’ one sees on all the social media pics. You do not need to spend $600 a night on a very average small Suite with minuscule private pool. Do NOT get caught up in the hype. We went to dinner at a (better not say where!) very on trend boutique hotel, paid an inordinate amount of money for a 16 course tasting dinner. I hope you don’t make the same mistake! 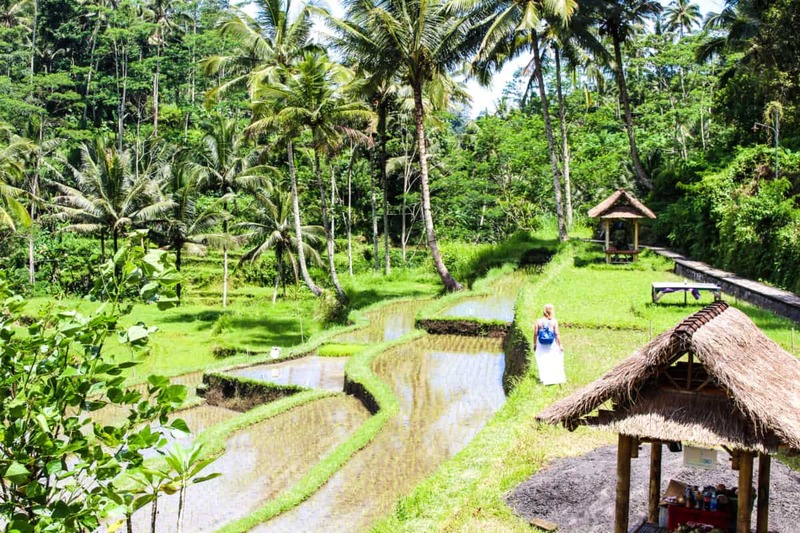 Popular with Yoga lovers and Vegans and many people love it, but the real Bali awaited as we headed North. If you hire a car, leave the crowds behind very quickly. Most tourists do not venture very far! 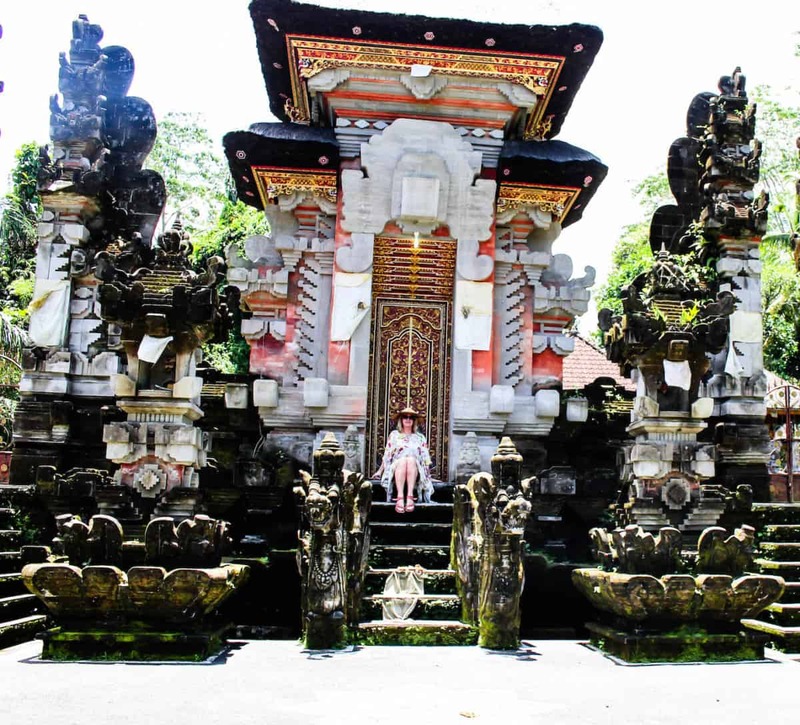 Well, if you are still reading…… this is my favourite area of Bali! I would go back to Northern Bali in a heartbeat. 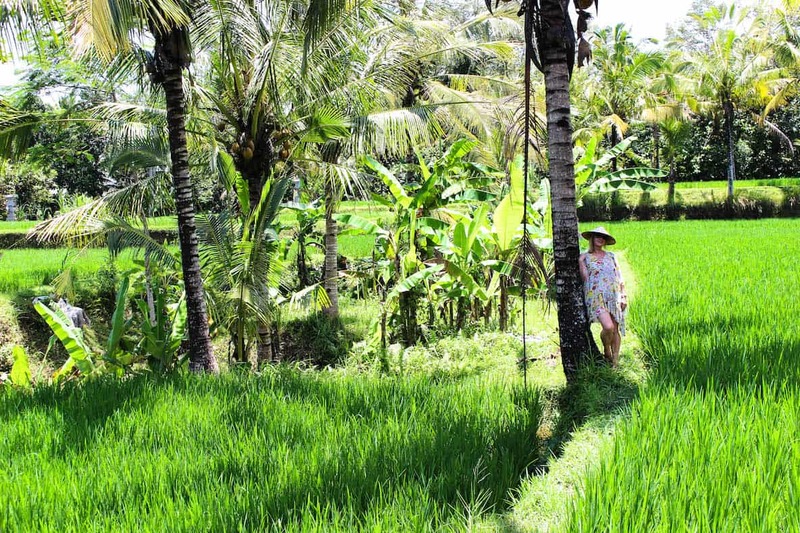 Leave the tourists behind in Ubud and it is like a different world as you slowly make your way North. Don’t forget to stock up with some snacks and fruit before your road trip! We couldn’t resist these traditional hats to buy! Bali grows so many fruits and vegetables, you will find an incredible array to buy. There are endless place to explore along the way, including Gunung Kawi. 10 shrines cut out of rock faces are fascinating to see. Take water with you, there are 250 steps back up! The weather changes as you climb up into the hills, it can be drizzling with rain too, so take some warmer clothes along. The climate changes again and is hot and sunny as you descend down onto the North Coast. Follow the road North and stop at the Twin Lakes of Buyan and Tamblingan. Also look out for Lake Beratan Temple. Actually, there are so many temples, we soon tired of them! Diva Tip: Buy a local SIM card and use Google Maps, all of the highlights and places to visit will appear on the Map. 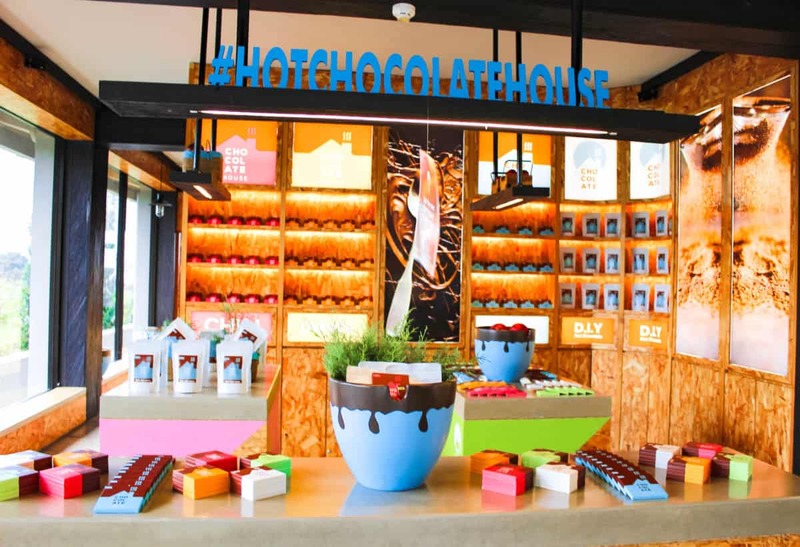 It was quite cold and drizzly near the Lakes and so The Hot Chocolate House a 100 metres heading North after Ulun Danu Beratan Temple was a very welcome place to stop for a snack and hot chocolate. There are lots of interesting things to see along the way from Rice Terraces to Lakes and Temples, before the slow drive through the hills. Photographers will love the hilltop views. It is a 3 hour drive from Ubud to Lovina, longer if you travel further West from Lovina along the coast as we did on our trip. I did not see any tourists in Northern Bali at all! There must be some around, but very few. 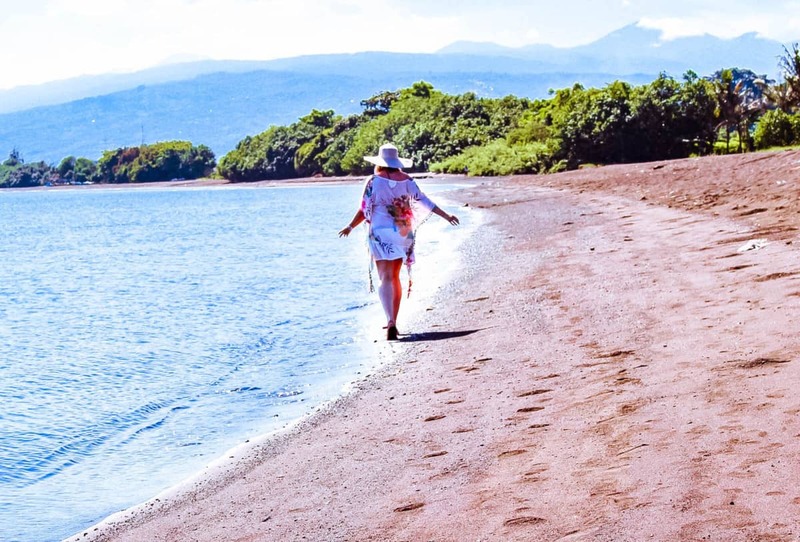 Then, embrace local life and enjoy the empty black Volcanic sand beaches. 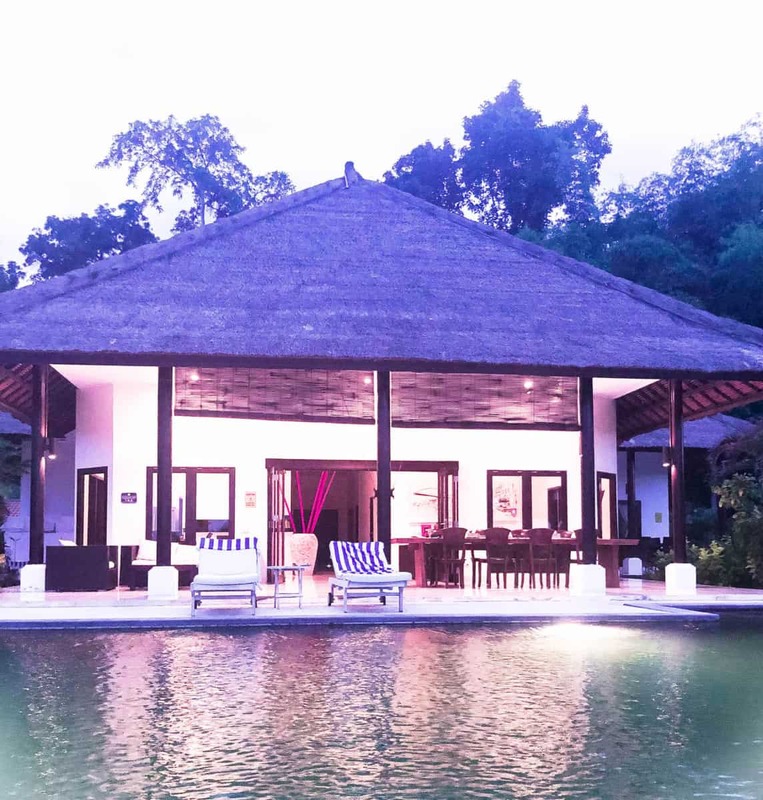 We wanted to leave the Villa in Ubud and so booked this gorgeous place west of Lovina (photo above) on Airbnb. It was the best decision, 4 bedrooms, gorgeous pool, opposite the beach and a staff of 5 including a Cook! Locals did come to the beach to play football after work, but only stayed for an hour, so the peace and tranquility was not disturbed for long. I spent a morning exploring the beaches with only a Cow and Calf and Fisherman for company. Can you spot the Calf above? Swim and relax or go diving and snorkelling, the choice is yours! It was nice to breath fresh air and relax after a few days exploring. 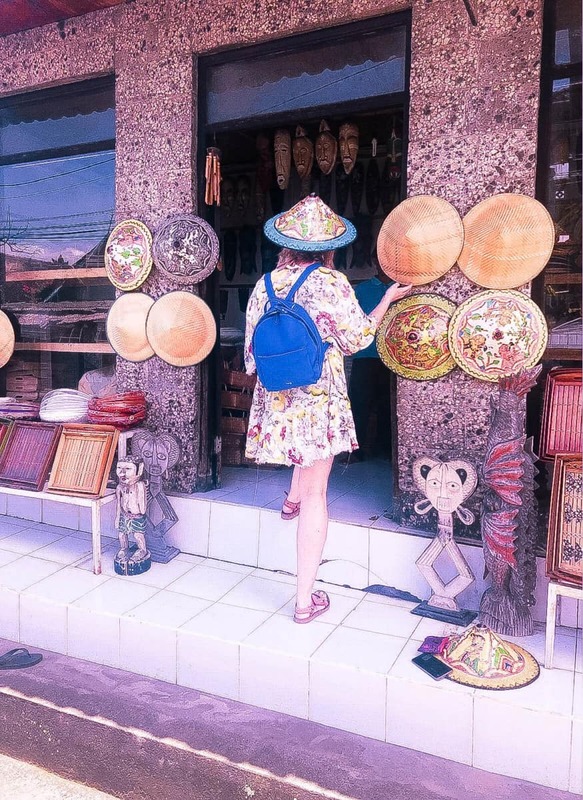 What to do in Northern Bali? Swim, Snorkel and Dive. 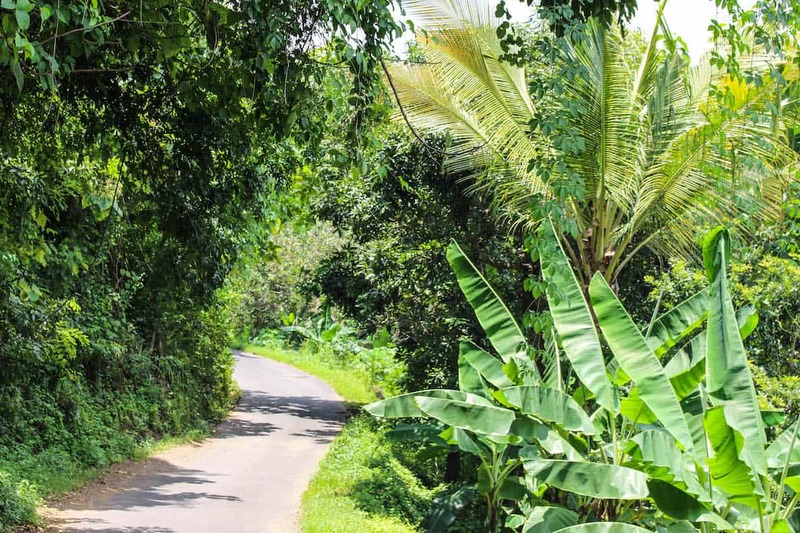 Explore the nearby protected National Forest to the North West and West of Bali. There are several beautiful waterfalls and hikes too. We didn’t have time to do everything, next trip! You can take an early morning boat out to see the Dolphins too! Southern Bali is quite polluted with all the Scooters, it was a joy to be here in this paradise without the crowds and traffic. Time to head back to the airport and catch my evening flight, so meandered back down taking a slightly different route. Then all was peaceful until we approached Denpasar. Allow time for major traffic jams! 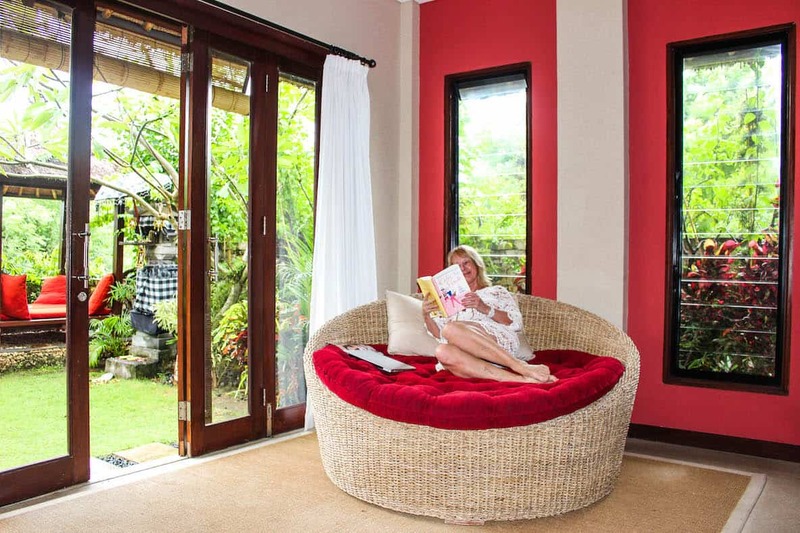 Diva Tip: Bali is great value for money, I would definitely recommend renting your own villa with staff. Often the staff have a driver and sometimes a car too. See Airbnb. Remember the rainy season is from November to March. So…. 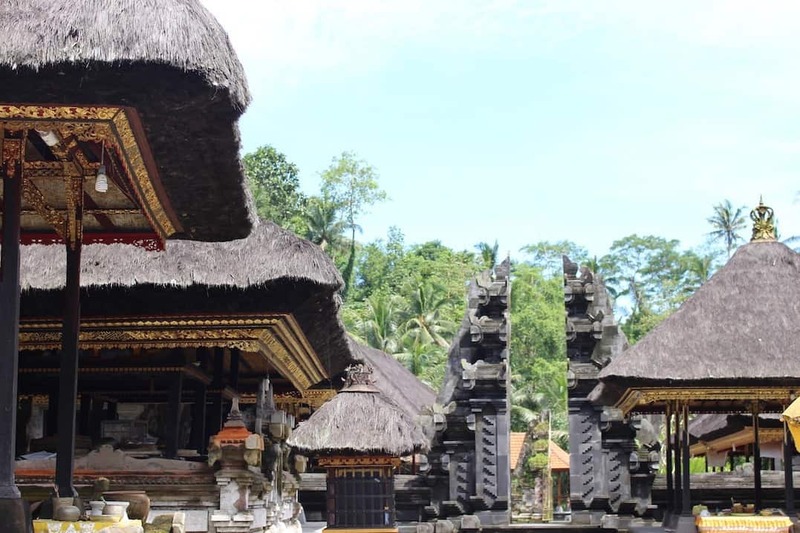 Explore Bali – the good, the bad and the……Glorious! Next Post 3 Top places for 2019 – Morocco, Russia and Jordan!